The Canadian Numismatic Association Educational Committee is pleased to announce that the 2006 C.N.A. Educational Forum will take place during the annual convention in Niagara Falls, Ontario. This Forum will be held on Saturday, July 22 beginning at 3:30 PM. Two outstanding speakers have been selected to address the audience. The image of the Canadian Mountie is one of the most recognizable throughout the world. Not surprisingly, the theme of the Royal Canadian Mounted Police has appeared on Canadian coins, medals, tokens and banknotes. It is also amazing to see that many items, such as Dudley Do-Right tokens and other unusual material have been issued in the United States. Have you seen a Canadian Mountie on a hobo nickel, or a Long Service medal? How about a challenge coin from the R.C.M.P.? Using numerous close-up images of these and other fascinating numismatic related items featuring “Mountie Money”. Chris will recount the colourful history of the Force from its formation in 1873 to modern-day policing. 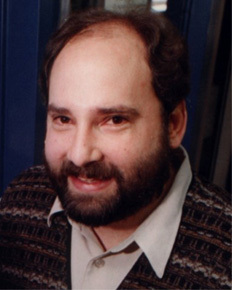 Chris Boyer is a Fellow of The Canadian Numismatic Association and is one of the authors of the C.N.A. Numismatic Correspondence Course – Part II. He has held offices in the Ontario Numismatic Association (Area 5 Director) as well as the C.N.A. as Youth Director. Chris has served as General Chairman of the 1999 C.N.A. Convention and designed their convention medal. He is a recipient of the ONA “Fellow of the ONA” award (1996), the Royal Canadian Mint Youth Award (1995 and 1996) and the ONA “Award of Merit” in 2002. He has enter numerous award winning C.N.A. exhibits on the topic of the RCMP in recent years. His feature article entitled “Mountie Money”, appeared in the September, 2005 issue of “The ANA Numismatist”. Chris has also designed a number of coins on behalf of the RCMP. A frequent speaker at local coin clubs, Chris is an elementary teacher at Franklin Public School where he runs a popular coin club for young collectors. This presentation will explore the many similarities, in both approach and timeline, between the Canadian and American banking systems from the late eighteenth century to the early decades of the twentieth century. Numerous examples of both Canadian and American paper money, along with the stories behind their issuance, will be used to illustrate and explore this fascinating area of Canadian and American numismatics. Wendell Wolka has been collecting a wide range of numismatic items for nearly fifty years. In addition to medals and coins of Martin Luther and the Protestant Reformation, Wendell collects Ohio obsolete bank notes, Ohio small size national bank notes, and a variety of world paper money including Canadian Chartered Bank notes. 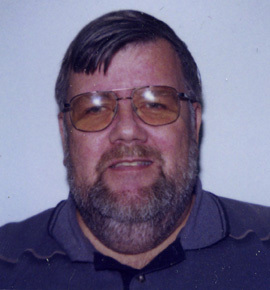 He has served in a number of positions with organizations including the Society of Paper Money Collectors, the Central States Numismatic Society, the Ohio State Numismatic Association and also the American Numismatic Association as an Instructor at the annual Summer Seminar each July in Colorado Springs. Wendell is honored to have received the Krause Publications Numismatic Ambassador Award, ANA Presidential Award, and the Society of Paper Money Collectors’ 2005 Founders Award. He is a frequent educational speaker and has served as Master of Ceremonies for numerous numismatic events over the years. Wendell has authored a catalogue of Ohio obsolete paper money and co-authored a similar work covering the state of Indiana. The moderator for this Educational Forum is Paul Johnson, Chairman of the C.N.A. Education Committee. Paul was Coordinating Editor of the C.N.A. Numismatic Correspondence Course – Part II that was released in 2005. He has been Chairman of the C.N.A. Education Committee since 1991 and has assisted in planning the annual C.N.A. Educational Forums since 1983. Paul has also been the Planning Chairman of the annual C.N.A. one-day courses held at Humber College in Toronto each year since 1997. We expect that this event will be one of the convention highlights and invite everyone to attend to listen to these fine presentations. Be sure to attend!